Last week was the first event of a new series of talks and training activities run by Cardiff School of Biosciences aimed at supporting post-docs in their careers, called the Post-Doc Academy. Run by Professor Daniela Riccardi (our deputy Head of School), the talk was aimed at letting post-docs know what to focus on when trying to build their CV with a view to applying for their first lecturing job or research fellowship. Prof. Riccardi started by giving us all a bit of tough love… reminding us that currently Cardiff University does not offer a long-term post-doc / professional post-doc pathway, and that being a post-doc is not a long-term career choice as you start to price yourself out of the range that can be justified to funding bodies. This is something that we all know, yet often choose to ignore! It is also important to remember that although our PIs may be bending over backwards to keep us in their group and retain our expertise (and as much as imposter syndrome may tell us otherwise, we are experts!) this might not be in our best interest, long-term. The most important question to ask is “Why?“, why do you want to get this job, and because the levels of competition are so high that the answer “I can’t think of anything better to do”, is just not good enough. We have to want it, as all three of the pathways are difficult. The “Where?” is also key, as flexibility in relocating can open a much wider range of opportunities, and external candidates are frequently more sought after to an institute in terms of Research Excellence Framework (REF) (more on that later!). We then heard about “How?” to actually apply for a role, looking at the essential and desirable criteria. The more specific the person specification the fewer applicants and the higher chance of success, but we were told in no uncertain terms: there is no point applying for a position unless you meet ALL of the essential criteria. And it is very important to clearly spell out in the application how you meet each of the criteria by quoting each and responding to it, making it a lot easier for the person reading it! However, meeting all the essential criteria does not automatically mean an interview, but if you can respond to as many of the desirable criteria as well then you are placing yourself in a strong position. What it all boils down to is: 1) High quality, “REF-type” outputs; 2) Funding, and; 3) Teaching experience/qualifications, with a heavy weighting on the first two. REF is the Research Excellence Framework and is based on the quality (not necessarily the quantity) of your research outputs. It is extremely important to familiarise yourselves with the new REF rules when they will be announced (sometime end of 2016), in order to understand what REF means to you when applying for a job in academia as it carries a huge weight in the decision making process. REF is less important when applying for T&S roles but this is because of the introduction of TEF (you guessed it…Teaching Excellence Framework). In terms of funding, include ANY bits of money that you have secured; travel grants and seedcorn funds as well as larger grants if you have them as they all show the ability and confidence to apply for, and be successful at raising money. Know the Institutional strategy, in Cardiff that means having read The Way Forward and the Key Perfomance Indicators. Get SOME teaching experience (but don’t forget your efforts should focus on high quality outputs. If you want a teaching role then consider taking part in PCUTL or applying for HEA recognition (which is well supported by Cardiff School of Biosciences, see HEA accreditation for more information). Engage with the research community in your institute, and try and gain evidence of good citizenship (for example contributing at RSG meetings! ), but don’t go overboard, as it is not as important as publishing and getting funding. Also – don’t be afraid to use your Institution’s Careers Services. At Cardiff a career consultation can be booked through the staff intranet. Cardiff School of Biosciences will soon begin the University led initiative of the “Fellowship track” in which suitable candidates with a high potential for career development will be identified during their Performance Development Review. If they are identified then they will be encouraged and supported in driving their career forward. Many thanks to Prof. Riccardi for this realistic view of what we as post-docs need to be doing to secure a future in academia. I look forward to the rest of the Post-Doc Academy Programme. 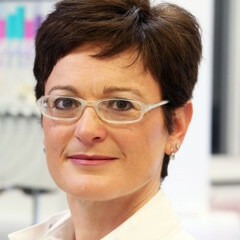 Professor Daniella Riccardi is the Deputy Head of School at the Cardiff School of Biosciences.